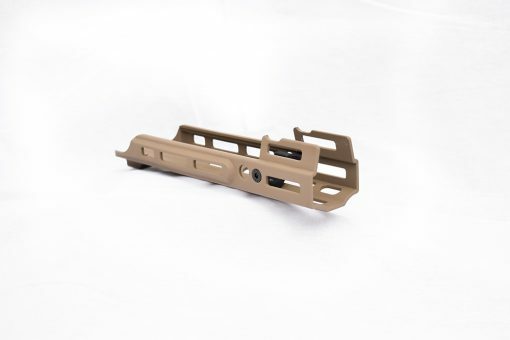 New for 2019, is the KDG SCAR MREX MKII Rail Systems for the FNH SCAR rifle Platforms. There are a few obvious differences / updates from the original MREX. M-Lok slots are present in more locations than the previous model, spanning the entire length of the MREX MKII. 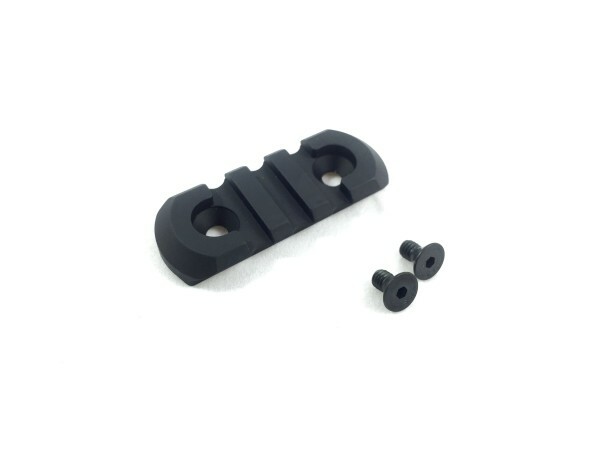 M-Lok has been added to the 2 o’clock and 10 o’clock position as a new mounting location and shield from the gas block. The MKII has the desired step down forward of the front folding sight like the MREX, but no picatinny. 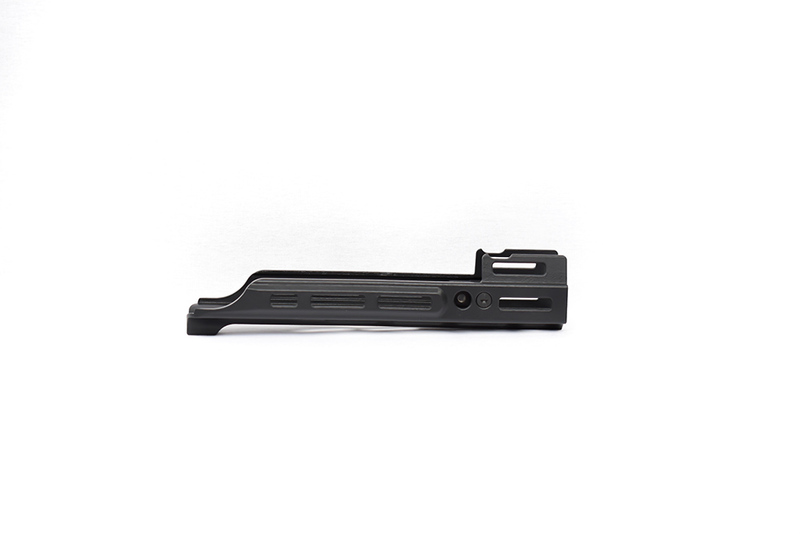 The traditional picatinny in this 12 o’clock position has been replaced with M-Lok slots allowing for more mounting options. 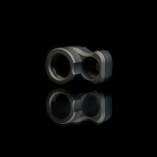 The MKII will be offered in three different lengths instead of two. The lengths available will be the MKII 6.5, 4.25, and 2.2. 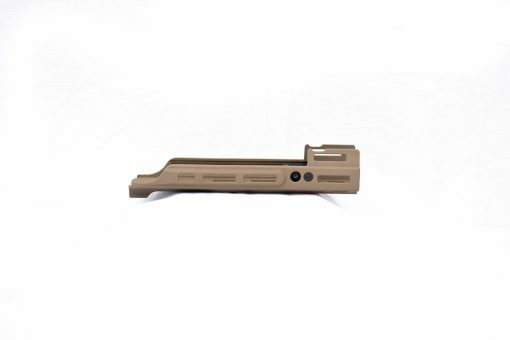 These designations signify the length the MREX MKII extends (in inches) beyond the SCAR upper receiver. 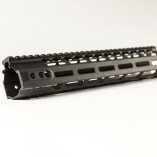 The 6.5” length is the ideal full size rail extension, same as its predecessor (MREX M-Lok 6.5). 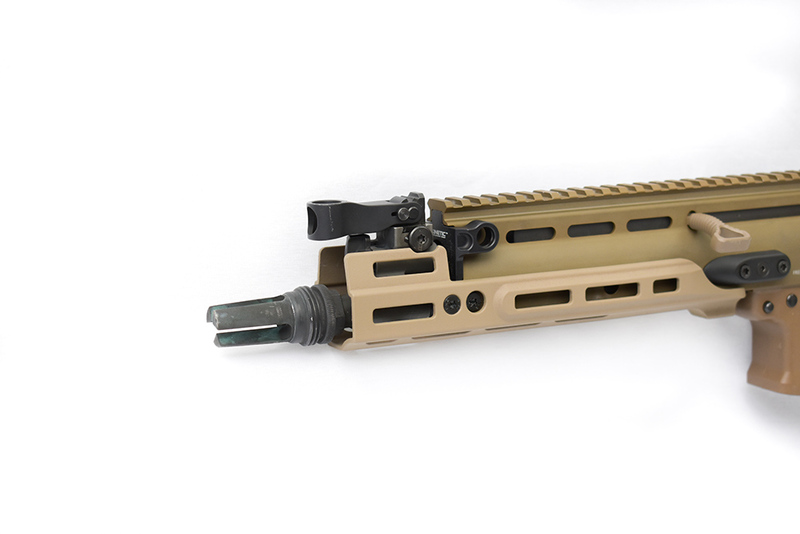 We have updated the MREX M-Lok 4.9 (Mid-length) to an overall length of 4.25” to accommodate the needs of issued rifle users. 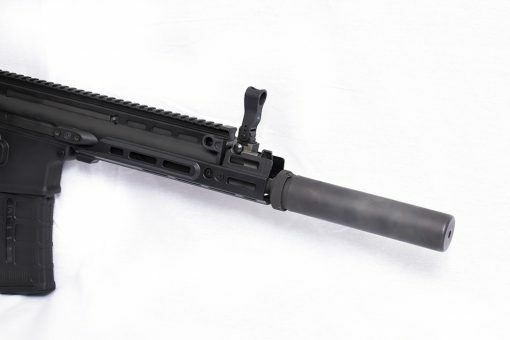 This length is ideal for use on a SCAR MK17 with a 13” barrel and issued FNH suppressor. 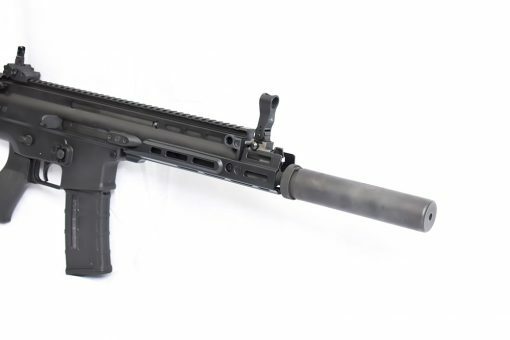 Finally, the MKII 2.2 is ideal for use with a SCAR 16 10” SBR configurations, or any SCAR user looking to add M-Lok to their rifle without having a rail that extends beyond the gas block. All versions of the SCAR MREX MKII will be available in Type III hard coat anodized black and Magpul Flat Dark Earth Cerakote. 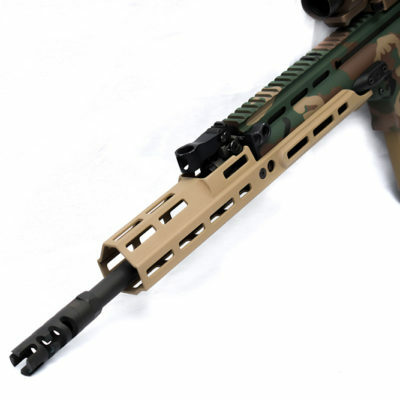 Like the original MREX there is no weight penalty by adding the MREX MK II to your SCAR. 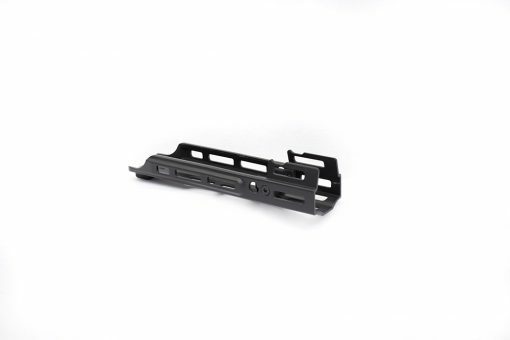 The MKII rails are easier to install with less hardware in unnecessary locations. 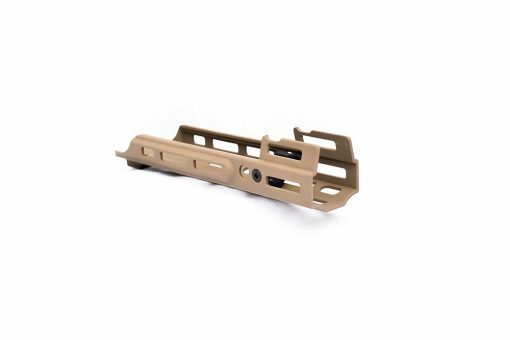 Like the original MREX, once installed on your barrel assembly, the MREX MKII can stay attached to the barrel, allowing easier change to configuration. 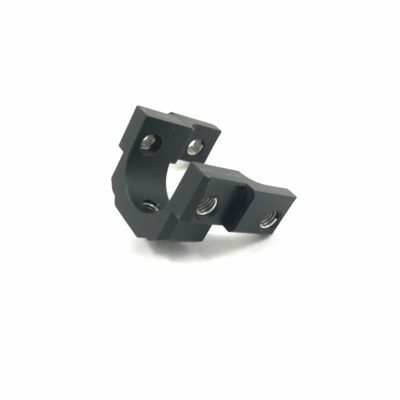 2” extension past the end of the scar upper receiver for use with SCAR 16 and 10.5” barrel.